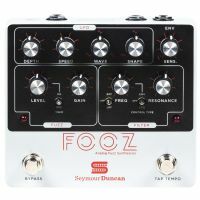 As part of the three-guitar assault that makes up Periphery, Mark Holcomb might be best known for bombastic riffs and liquid leads, but he's no stranger to the atmospheric and ambient side of guitar. 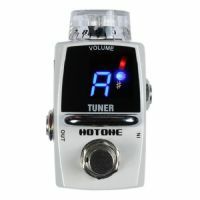 The flanger effect was originally achieved by manually independently varying the speed of two tape recorders with the same program material during studio recording mixdowns. 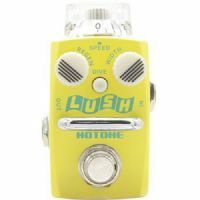 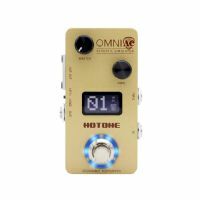 With its diminutive size and LED-illuminated VOLUME knob, the Hotone Skyline Tuner guitar pedal is quite the conversation piece. 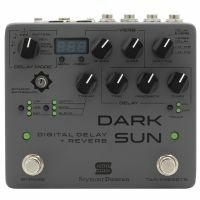 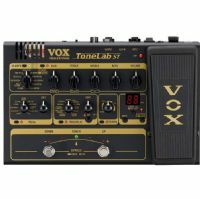 Many guitar pedals can make your guitar sound like a synth, but few capture the tactile feeling and interactivity of using one. 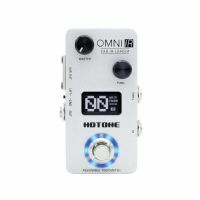 Real analog synths use different blocks (oscillator, filter, LFO, envelope) that work together. 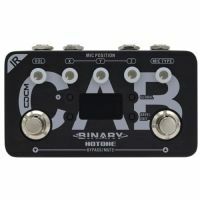 Binary IR Cab is an Impulse Response based cabinet simulator delivering precise legendary vintage/modern guitar/bass cab sounds along with CDCM powered legendary studio microphone/power amp simulations. 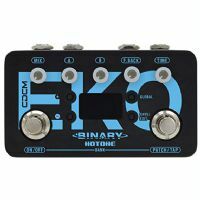 Binary Eko is a CDCM-based multi modulation effects pedal with stereo I/O and expression pedal support, delivering precise classic delay pedal sounds along with new and inspiring Hotone original delay effects.